Throughout the 19th century, most Americans viewed proponents of equal opportunity for women as lunatics or anarchists bent on destroying polite society. In such a society women were generally tied to domestic responsibilities, and their educational and professional choices were severely limited by virtue of their gender. 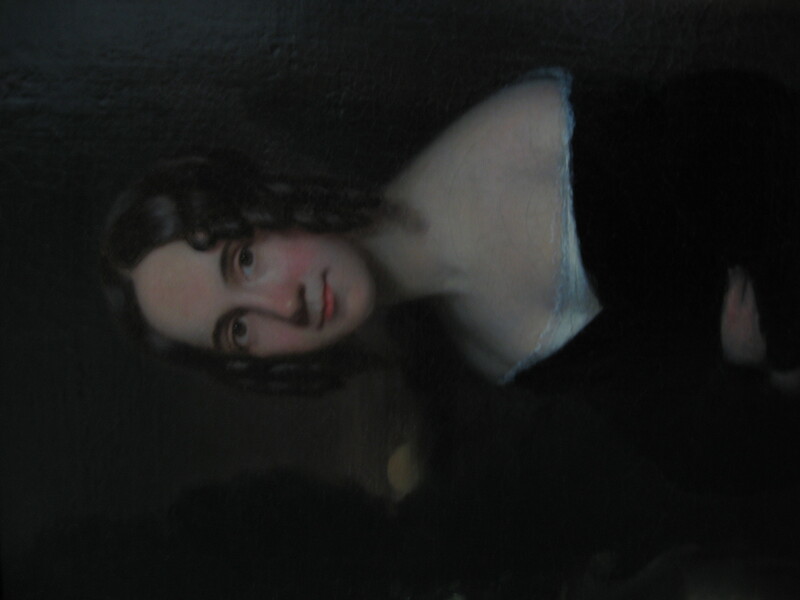 Happily, some, like New Hampshires Sarah Josepha (Buell) Hale, born in Newport in 1788, cherished the opinion that society would be improved, not damaged, by womens contributions. Editor of Godeys Ladys Book from 1837 to 1877, Sarah believed women should seek œa more respectable station in social life than merely that of a household drudge or a pretty trifler. Sarah was neither of these things. Her family believed education was important, and although she had no formal schooling, she was tutored by her brother Horatio, a Dartmouth College Student. Sarahs first job as a schoolteacher may have been inevitable, but her commitment to educating boys and girls was far from ordinary. Sarah taught reading, mathematics “ even Latin “ with indifference to the fact that her pedagogy was atypical. Unlike most teachers, she allowed each student to proceed at an individual pace instead of requiring group recitation. In addition to being applauded for her instructional methods she became well known for her poems. One became a childrens classic. œMarys Lamb (better known as œMary Had a Little Lamb) has been memorized, sung, and recited by generations of Americans, but few know that the author was a self-educated village schoolmistress with a penchant for innovative teaching. Sarah was courted by lawyer David Hale, whom she married in 1813, quitting her school post to do so. Despite the birth of four children, she studied in the evenings and diligently plugged away at her writing. In 1822, when David died of pneumonia, she had published essays, poems, and short stories, and had started a novel. Sarah (who gave birth to her fifth child days after Davids death) knew a teachers pay would be insufficient for her familys needs, so she opened a millinery business in Newport with her sister-in-law. In the midst of increased business and domestic responsibilities, Sarah continued writing during her œspare time. Within a few years she had published a book of poems and was writing regularly for The American Monthly Magazine, The Minerva, The New York Mirror, The Spectator and the U.S. Literary Gazette. However, the tour de force of Sarahs literary output was a novel, Northwood, published in 1827. Preceding Uncle Toms Cabin by more than two decades, it introduced a new American genre: novels about slavery. Praised by critics at home and abroad, Northwood became the passport to an editorial career to which Sarah dedicated the next 50 years. Following Northwoods success Sarah Moved to Boston to become editor of the American Ladies Magazine. There she defined her journalistic mission “ to educated and enlighten readers, not merely entertain them. She did this by presenting, as she stated, œwhatever is calculated to illustrate and improve the female character. By the time her magazine emerged in 1836 with Louis Godeys Ladys Book, Sarah had become well known as an editor of perception, discernment, and demanding literary standards. Over the course of her career her position enabled he to become acquainted with many who devoted themselves to education in all of its forms. These notables included writer Oliver Wendell Holmes, Samuel Gridley Howe, a Harvard professor and founder of the Perkins Institute for the Blind, and musician Lowell Mason, who published many of Sarahs verses in his songbook the Juvenile Lyre, used in public schools throughout America. Sarah also became a good friend of Emma Willard, founder of a œfemale seminary in Troy, New York.. Its goal – to educate young women as schoolteachers “ was dear to Sarahs heart. Not only did she appeal in her magazine for donations to the school, but she sent both of her daughters there. Among her charitable and philanthropic efforts during these Boston years, the Bunker Hill Monument was Sarahs most ambitious. Learning in 1825 that group formed to commemorate the Battle of Bunker Hill had run out of money, Sarah asked each Ladys Book reader to send a dollar to help the cause. Male skeptics derided the idea that women could actually raise the needed funds, but Sarah shrugged off criticism. Ultimately, she joined the thousands who cheered the monuments dedication in 1843 “ a ceremony attended by President Tyler and made memorable by an oration delivered by another New Hampshire native, Daniel Webster. Eighteen years after placement of the original cornerstone, Sarah and her lady readers had ensured the projects completion. While monitoring the Bunker Hill campaign, in 1833, Sarah also helped found the Seamens Aid Society. The first such organization of its kind, the Society was dedicated to improving economic conditions for men who spent their lives in the merchant marine, as well as to helping their families obtain financial and other assistance. Thanks to Sarahs energy the Society grew into a multi-purpose institution that endures today. When she left Boston in 1841 for Philadelphia, where the Ladys Book offices were located, she had thirteen years of managerial, editorial, and philanthropic experience. Yet her most productive years were ahead of her. 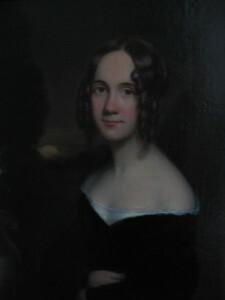 From the early 1840s until her retirement in 1877, Sarahs social conscience blossomed as her editorial influence expanded. Her commentary varied: she counseled on infant nutrition, recommended moderation in womens dress (she tolerated the fashion plates for which the Ladys Book was famous, knowing that they promoted the magazine), and advocated equality for girls and women. Urging construction of playgrounds and advocating exercise for boys and girls, Sarah anticipated Progressive Era reforms by nearly six decades. As she praised female physicians, she ignored critics who said women were unsuited for the medical profession, criticizing those who warned that women doctors would cause economic ruin among their male counterparts. Not surprisingly, the Ladys Book warmly congratulated Elizabeth Blackwell in 1848 when she became the first American woman to earn a medical degree. Sarahs determination may be credited to her early education and the challenges she faced upon her husbands death, or she may have been naturally assertive at a time when the majority of American women remained silent at home. But unlike some of her contemporaries “ notably Susan B. Anthony, Lucy Stone, and Amelia Bloomer “ feminists who sought dissolution of gender stereotypes and demanded full equal rights for women, Sarah remained a moderate. Promoting opportunities for women, she nevertheless valued their traditional roles. Her chief concern was that all women use common sense, and that each be given an education that would foster constructive use of her intelligence. But her most cherished victory was neither preservation of a building nor publication of a best-seller. Starting in 1846, Sarah had appealed to each president, asking him to announce an annual Thanksgiving observance. Abraham Lincolns decision to do so may have been motivated more by the notion that such a holiday presented a unifying device for a divided nation than by any conviction that Americans needed a day off. Whatever the reason, in 1863 Sarahs efforts were rewarded by Lincolns Thanksgiving Day Proclamation (although it would be 1941 before Congress declared it a federal holiday). While Sarah Josepha Hale cannot be placed in the same category as 19th century feminists such as Elizabeth Cady Stanton or Susan B. Anthony, she nevertheless played a central role in promoting equality for women. Through the pages of Godeys Ladys Book, which at its peak reached 150,000 subscribers, Sarahs influence probably affected many more women than did the strident proselytizing of feminist reformers. Having faced the multiple demands of marriage and motherhood, she understood what subscribers wanted to find in the pages of the Ladys Book, and, continuing her life-long crusade to prove that women could accomplish whatever they attempted, she provided it.